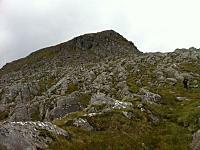 Cona' Mheall is a steep sided mountain separated from Beinn Dearg by Coire Ghranda with its impressive cliffs. The rocky summit ridge runs SSW to NNE with the summit at the N end. 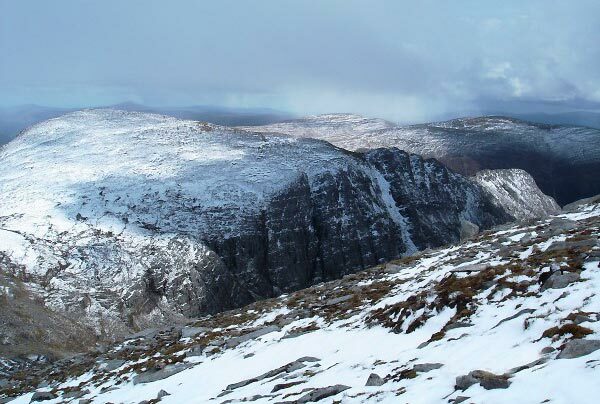 The NW face of the mountain is rocky but an ascent can be made on it from the path in the bealach at the head of Gleann na Squaib. 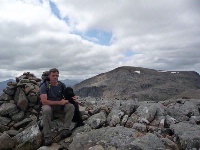 From here ascents can also be made of Beinn Dearg and Meall nan Ceapraichean. 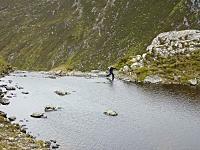 An ascent is also possible from Loch na Choire Ghranda on the steep grassy SE ridge. Scrambling (minor), easy hand and footholds. Cona Mheall from Beinn Dearg, May 2007. The summary information of one or more ascent routes that include Cona' Mheall. 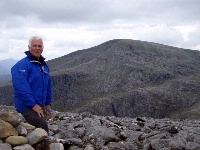 1 1759 m 25.80 km 8.5 hrs Beinn Dearg [Ullapool], Cona' Mheall, Meall nan Ceapraichean and Eididh nan Clach Geala This is a big day with some steep slopes to ascend. You can shorten the route by omitting Cona' Meall which can be climbed from the south or west. View of the great cliffs on Cona' Mheall from beleach. Post a few words about Cona' Mheall or read what others have had to say. The approach from Inverlael is quite long but the river and the crags of Beinn Dearg make it interesting. 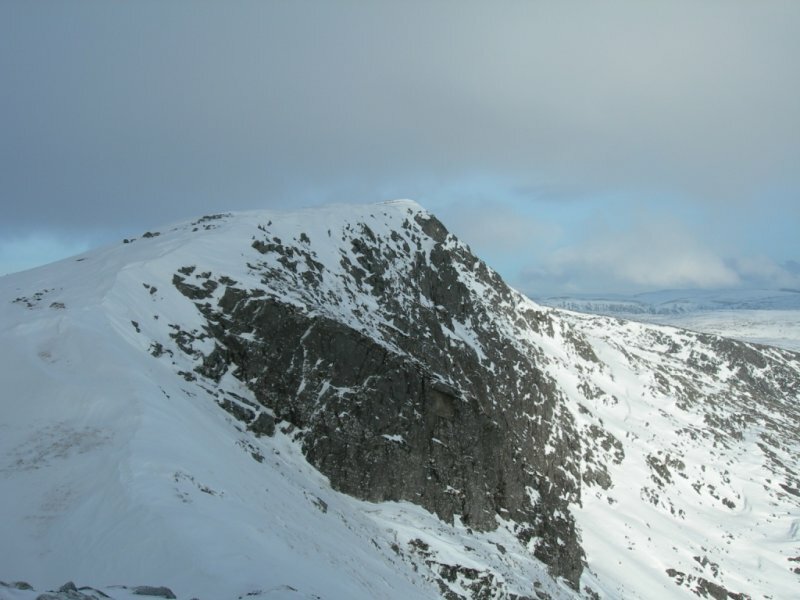 The advantage of this hill, Beinn Dearg and Meall nan Ceapraichean is that they are all easy ascents from the plateau marked on the map by point 886m. You then have a choice as to what hill is climbed first / last. Cona' Mheall itself is a straighforward climb up its rocky face and even in full winter conditions there was no problems. The views from the top are very good. 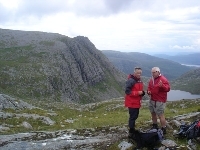 We had been on Am Faochagach, so we climbed to Cona Mheall from the east from the southern end of Loch Prille. The upper part of the slope is very rocky, and some of the boulders are so big that you must help with hands, but we made it well even with a tent, sleeping bags and other accessories. A small gorge a little to the left from the course helps to reduce the distance of the most difficult terrain.